The global ultrasound devices market accounted for $7.80 billion in 2017 and is expected to reach $14.98 billion by 2026 growing at a CAGR of 7.5 percent, according to Research and Markets. Factors influencing the market growth are an increase in invasive medical and imaging procedures, rising demand for ultrasound technologies, increasing usage of geriatric medicines and growing investments and funds for upgrading devices. Moreover, developing high-quality imaging applications provides ample growth opportunities for the market during the forecast period. TechNation reached out to industry professionals to find out more about ultrasound systems. Participating in this roundtable on ultrasound systems are Avante Ultrasound, formerly GMI, Marketing Specialist Doug Adams, Conquest Imaging Senior Director of Technical Operations Bob Broschart, Trisonics Global Sales Manager Chris Wildman and Mindray North America Senior Director of Service and Operations-Ultrasound Scott Williams. Q: What should health care facilities look for when purchasing an ultrasound system? Adams: When purchasing new equipment, the focus should be on image quality, proper diagnosis and improved outcomes for patients. Too often the purchase experience revolves around brand loyalty, bells and whistles, new technology and pricing. A comprehensive and open-minded approach to new equipment purchases should guide you to the best equipment for your needs. Broschart: First and foremost, does the new system meet or fill a need clinically? Does it improve patient outcomes or fill a gap clinically? Additionally, you always need to look at the cost of ownership over the life cycle of the system. What are my maintenance costs going to be? Is the system reliable? Is it a brand-new system on the market? Will there be “bugs” in a new platform I need to be concerned about? How are software upgrades managed? And lastly, is the new platform sustainable? By this I mean is the model upgradable to newer hardware functions as new clinical applications emerge. Wildman: Look for a reputable company that will deliver on what it promises and that also provides outstanding customer service before and after the sale. Facilities should also ensure that the company they work with has a quality management system in place so the buyer can be confident in the quality of the product they purchase. Lastly, it is essential to discuss the total cost of ownership in regards to the ultrasound system so that the buyer understands the long-term financial ramifications revolving around the purchase as well as any service needs after the initial investment. Williams: When evaluating ultrasound technology, consider how the equipment will advance, grow or scale as your business needs change and evolve. Do they offer living technology? As the technology advances are you eligible to receive these capabilities during your warranty (i.e. expanded features or imaging improvements, etc.). Understanding how living technology is provided versus software patches is key to maintaining state-of-the-art performance. With the equipment warranty and support offerings during the life cycle, a few companies are now offering five-year warranties that can also cover maintenance items like batteries and transducer damage. Q: What are the most important things to look for in an ultrasound system provider regarding service and parts? Adams: Ultrasound providers should positively impact the readiness of your facility. While pricing is a key factor, value adds such as field service engineers, technical support, training, transducer repair and parts should factor in the decision. ISO 13485 certification ensures that the provider is invested and committed to the highest standards of quality and service. Broschart: Will the vendor provide service training? Will they make their training manuals available? How do they handle software upgrades when the service is being performed by in-house or third-party servicers? The basic question around parts is availability. Does the vendor have adequate parts and probe supplies? Can they delivery parts/probes next day? What are their warranty terms? I also like to ask what a vendor’s warranty rates are. Wildman: One of the most important factors facilities should look for is a service provider that has experienced, local engineers. This enables them to respond to needs thoroughly and quickly which limits machine downtime. Also, consumers should verify that the service company has a quality management system in place to assure that all parts are tested and of the highest quality. Another recommendation would be to check with local references to garner personal feedback and get firsthand accounts of the company in question. Williams: Look for scalable offerings for facilities with on-site biomedical engineers or satellite offices. What programs do they have for training, parts depots and support for maintenance items like depleted batteries or accidental transducer damage? 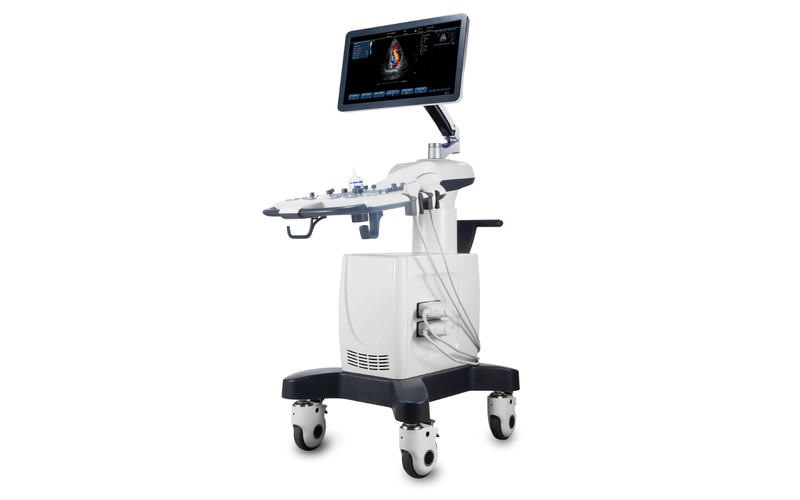 Q: What are the pros and cons of new and refurbished ultrasound systems? Adams: New equipment has the latest and greatest technology and features that comes with a higher price. New equipment rushed to market can lead to software and hardware issues that could result in unwanted downtime. Refurbished equipment offers leading edge technology and features at a much lower cost to acquire. The age of the refurbished equipment can lead to parts availability issues due to end-of-life protocols by the manufacturers. Broschart: I believe that from a practical standpoint there is little difference today in refurbished or new systems of the same model. New platforms that add substantial new technologies and features are a different story. If you want or need new clinical applications that your current system does not have, or you want improved imaging, Doppler, etc. – and again, your current system cannot be upgraded – then new is the way to go. If you want to add a system or more to your existing inventory and you want to use the same model, then refurbished is a great way to go as you will save cost and get the added capacity you may need. Wildman: The quick and obvious answer is the “price vs. peace of mind” mentality. There are two schools of thought and both are warranted and necessary for the health of the industry as a whole. Some buyers love the new car smell and the feeling of having a multi-national corporation supporting them, but that feeling comes with a premium price tag. On the other hand, the buyer can consider a “lightly loved” or refurbished machine at a significant discount. The perceived trade-off is that with a lower price tag the consumer receives a lower commitment or expectation of reliability and service. Buyers need to research and get references for companies they are buying/servicing the machine through to bolster their confidence and increase the power of their budget. Williams: Many manufacturers offer demo or refurbished systems. You receive the latest technology but at a more affordable price. These systems will typically have a 12-month warranty with options for covering batteries, extended transducer coverage and preventive maintenance programs. Refurbished systems can offer good value for obtaining the latest technology, but have a shorter warranty term and exclusions. Q: What are the most common repairs ultrasound systems require? Adams: The most common repair for ultrasound continues to be transducers. Year after year, transducers remain the most delicate aspect of diagnostic ultrasound equipment. With more options than ever for repair of transducers, replacement is no longer the overwhelming standard. Broschart: The ultrasound probes are the most failed/repaired items on ultrasound systems. They have a variety of problems that occur. The front-end boards on most systems tend to be the most failed system parts. Obviously, power supplies fail regularly. We see a lot of cosmetic issues such as broken control panel frames, switches and buttons, etc. LCD screens and monitors as well. Wildman: Typically, the transducers are the most common item to fail on an ultrasound system due to the constant use and possible user damage. With machines becoming smaller and more powerful, many common repairs are due to the lack of a regular preventative maintenance appointment. Where there were once 20 boards doing the computing in a large boxy unit, the new modern consoles and portable systems put many times the computing power in an ever-smaller space so keeping this area well ventilated and clean is essential. Williams: System repairs and maintenance are often a function of how the equipment will be deployed. The point–of-care market continues to grow for ultrasound applications. More systems are now going mobile or to the bedside than in previous years. Hence, maintenance items like batteries are more critical along with transducer care. During portables or in a busy ER/trauma center, it’s challenging to protect the transducer from being dropped or having other equipment run over the cord during critical situations. Under these circumstances, transducers see more extreme conditions and may require replacement for performance degradation or damage. Q: How long can a health care facility expect a new ultrasound system to last before it needs to be replaced? Adams: I have seen instances of equipment lasting 10-plus years, with proper care and maintenance, systems should last between 5-7 years. Technological advancements typically make the equipment obsolete before the system reaches the end of its operational life cycle. Broschart: Typically, systems have a life span in ultrasound of 5 to 7 years. Obviously, some people keep units much longer. If a platform is easily upgradeable, the base unit can last many years. It, again, goes back to clinical needs. If your system meets all your clinical applications and patient needs and no new applications or technologies are on the market, then you can keep a unit a long time. One thing that can limit the life cycle of an ultrasound system is parts/probes availability. At some point, the support of parts and probes will dry up. When that happens, you need to upgrade. Wildman: The answer will vary based on the facility, the function for which the system is used and how much use the system gets. Proper care and preventative maintenance are a huge factor in how long the machine will last. Determining what new technologies are needed will also play a role as to when a facility will be ready for an upgrade or wants to replace their current system. Williams: Historically, facilities would plan for the equipment to support their needs for 5-7 years based on the technology. 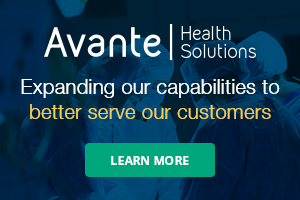 As technology has advanced along with growing pressure on medical expenditures, facilities are looking for equipment to grow during the product life cycle and last 7-10 years. Q: What else do you think TechNation readers need to know about purchasing and servicing an ultrasound system? Adams: The most influential factor on the longevity of any medical device, including ultrasound, is the education of the end user and biomed staff. Educating the clinicians on proper care and maintenance of the ultrasound machine, transducers, peripheral devices and network features will directly affect the life cycle of the equipment. Biomed departments have more options than ever for in-depth, hands-on training and support for maintaining the ultrasound equipment, transducer and related devices. Broschart: Again, from my perspective, what new technologies and clinical applications am I going to receive from this new system? Am I going to generate more revenue for my hospital or practice and most importantly, improve patient outcomes? Does the system meet our needs currently and in the future? Regrading service and support, how long is my parts/probes availability going to last? Is the vendor easy to work with from a service perspective (training, technical support, parts/probes, etc.)? How easy is the system to service? This can make or break you in the long run. Wildman: It seems customers can purchase ultrasound equipment anywhere these days, including eBay. It is important to realize that price shouldn’t always be the determining factor when choosing a system. Do your research on the company selling and make sure it has policies and procedures in place to deliver the highest quality both during and after the sale. Williams: As the list of manufacturers narrows, consider how your team will receive clinical or technical support. If you have questions or maintenance issues, where will support be provided from, hours of operation and, importantly, how easy or accessible is technical support? If your warranty has expired, how does the support process or experience change? Can you talk with support before making a purchase decision or will payment be required in advance?